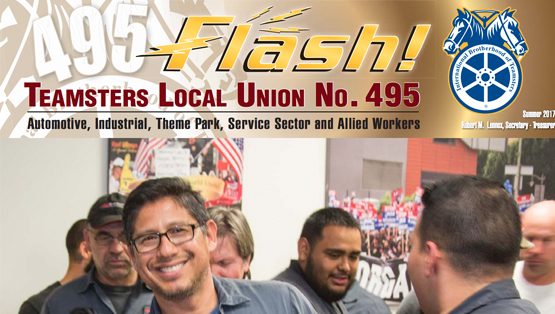 Local 495 Business Agents are former rank-and-file members who know the unique needs and challenges of our members. They are highly skilled and educated to offer you the best representation. They know you, know your contract, enforce the agreement and ensure that your rights are protected. Business Agents visit members on the job to ascertain the most important needs and concerns of the members. Oftentimes before contract negotiations begin, Business Agents will conduct contract proposal meetings with members to get their input and suggestions prior to bargaining. With this information, Business Agents participate in the negotiation process to get the best agreement possible for the members. Business Agents work hand-in-hand with your Shop Stewards to protect and support you on the job. Business Agents ensure your rights are not being violated and that management is adhering to the contract. When problems do arise, you can count on your Business Agent to support you. They make sure that members’ problems are addressed and solved as quickly and informally as possible. If that is not possible, Business Agents oversee grievance and arbitration proceedings, and fully represent members at all hearings and meetings.